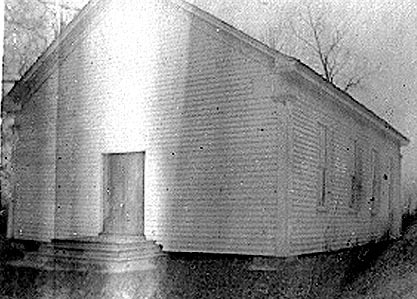 The caption on this photo reads, "Gratitude Church, where Ma used to go to church in Tennessee." The church is believed to be the first Gratitude Church, located in northern Shelby County, Tennessee, where the current Gratitude United Methodist Church stands. Some family records indicate the Gratitude Church was on the corner of the Joshua Hughes' farm and has been described as, "Being within speaking distance of the Joshua Hughes' farm house." For providing this photo from her Hughes photo collection. Janice is the 3-great-grandaughter of Joshua Hughes.